Well, now this is what I’d call it when a company means business with it’s new coupe sports model they launched just days ago. The 2012 Mini Coupe’s pictures are still so fresh the paint may run on the fingers of those who hold them to admire the British fun machine. 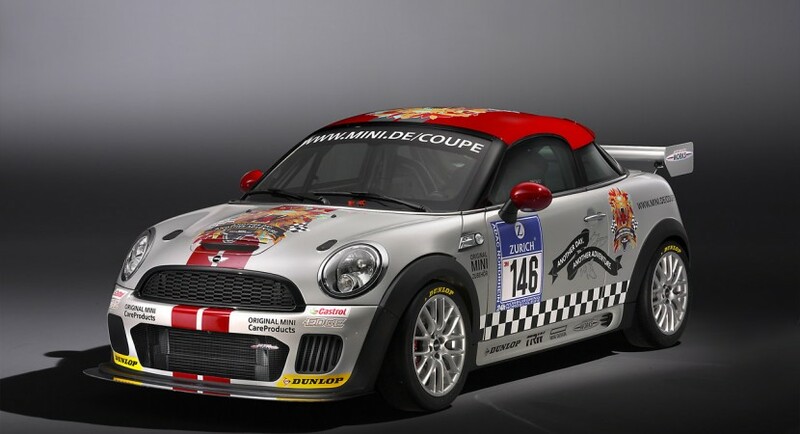 Despite that, there’s no time being wasted, Mini already announced that they plan to take a John Cooper Works (JCW) version of the 2012 Coupe racing. 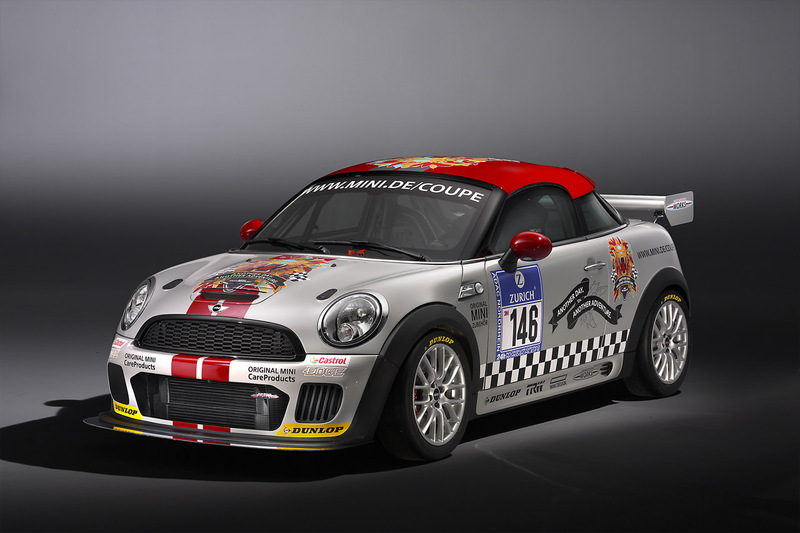 Focusing on the endurance side and with the 24 Hours of Le Mans being over and dealt with for this year, the JCW Mini Coupe will hit up the Nurburgring. No endurance race is easy, but the 24 Hours of Nurburgring demand that more of a special attention as the track itself is known for being one of the toughest around. In order to prep for the immense job at hand, there’s been some tweaking done by Mini to the aerodynamics of the Coupe shifting focus from things like fuel economy and looks towards downforce. This is why we see a new body kit that now includes a front splitter and a rear diffuser. 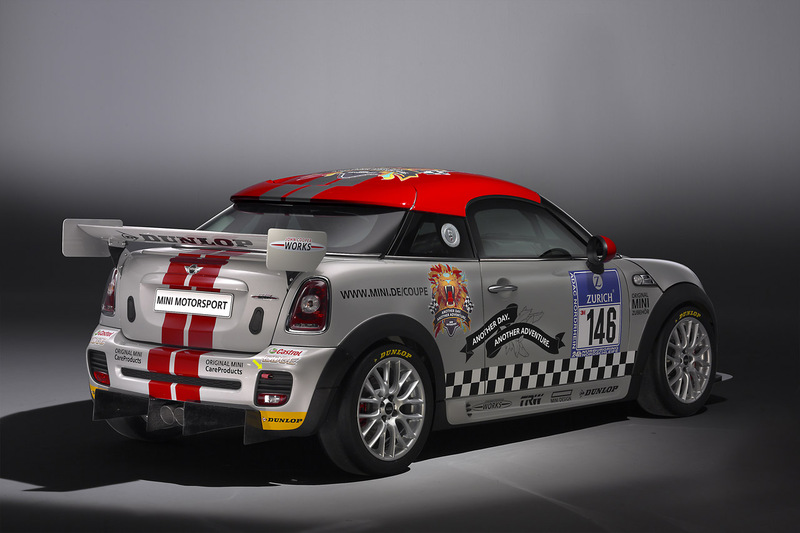 Also looking for that little bit more downforce is the rear spoiler JCW placed on the back of the 2012 Mini Coupe. Last but not least, the lower part of the front bumper was opened up further to improve the cooling of the powerplant and all its auxiliaries under the bonnet. The new cooling possibilities were laid out in order to preserve the life of the 1.6 liter turbocharged engine throughout the 24 hours of pain it’s going to get. Pain is only part of the equation, performance is the other. While the 1.6 liter turbocharged engine didn’t apparently change, there’s 250 horsepower coming out of it thanks to all the racing tech added. Some fancy re-tuning of the direct injection system, turning up of the turbocharger pressure helps JCW develop the 50 extra ponies on top of the standard powerplant and provide the driver with an overboost facility. The interior of the 2012 Mini Coupe also got a lot of changes only the extreme stripping of the luxuries and sound deadening means there’s a lot less on the table. 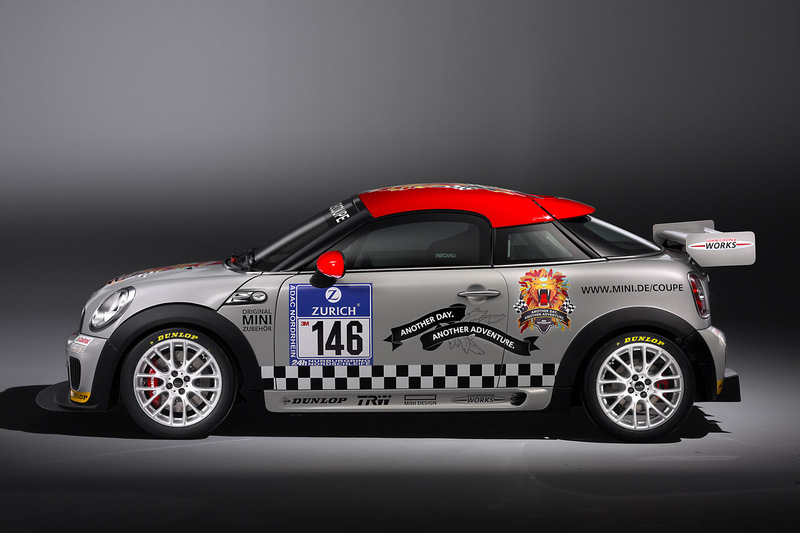 The final weight of the 2012 Mini Coupe Endurance Racer is said to stop at just under 2.200 pounds sitting still so we can see the downforce necessity we spoke of earlier. All this stuff was set up so that when the Nurburgring 24 hour endurance race starts up the Mini John Cooper Works Coupe Endurance will be competing in the “SP 3T” class.